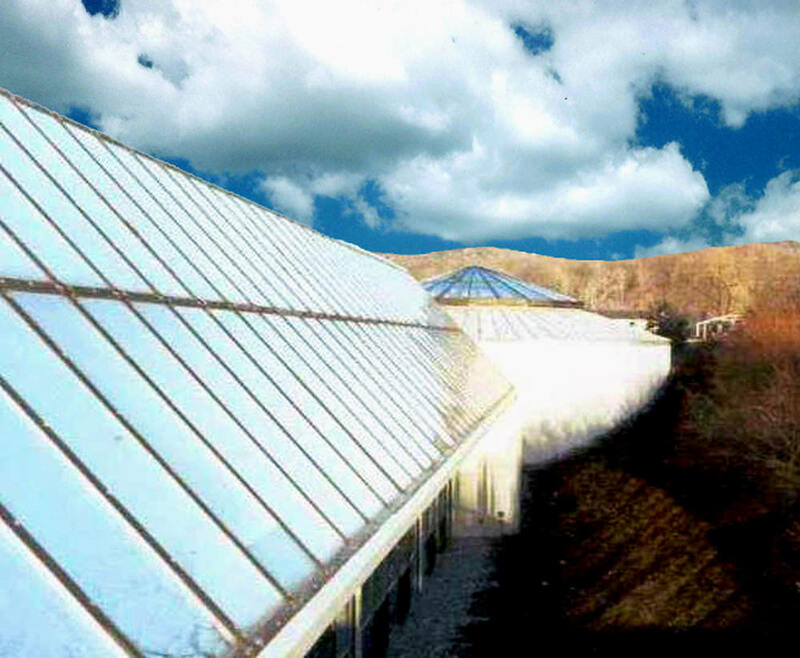 This pioneering environmentally conscious project represents one of the earliest examples of “green building” in the Lehigh Valley region. 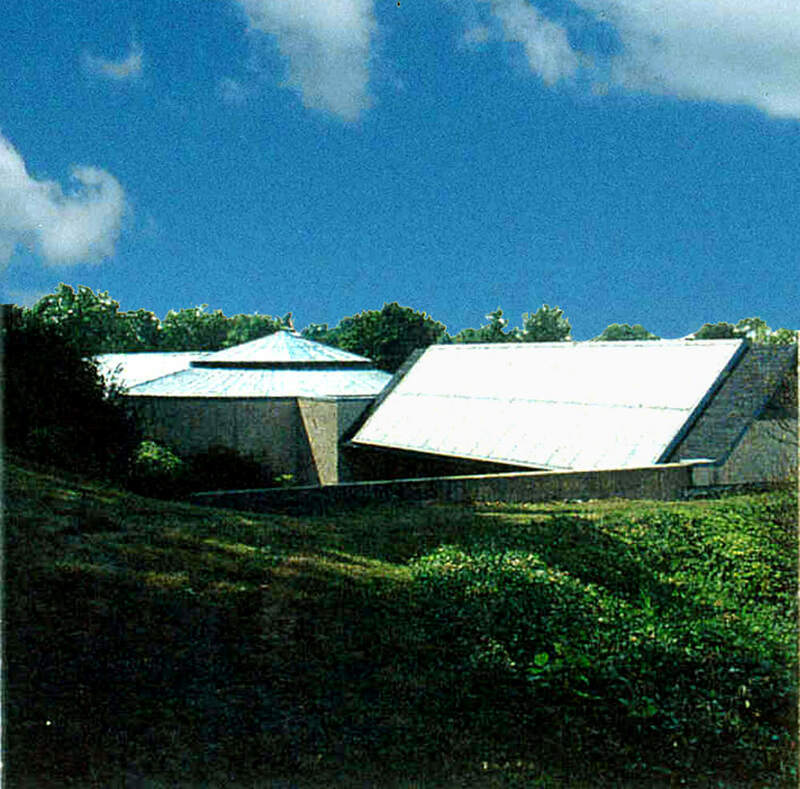 It occupies a 30-acre former dumpsite and housed all major business operations of Rodale Press. 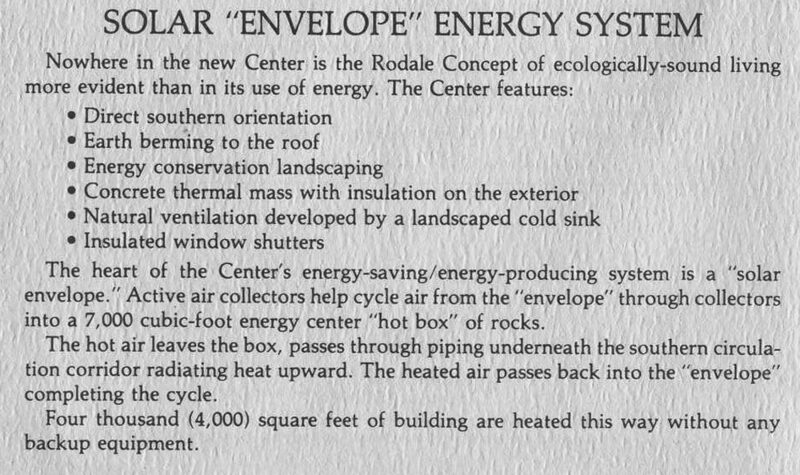 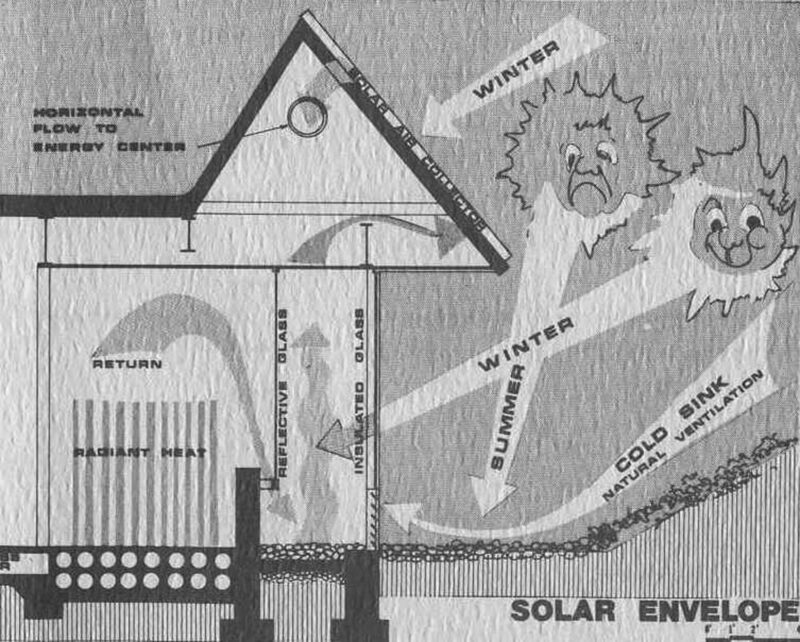 The heart of the design is a groundbreaking “solar envelope” system that cycles air through a 7,000 cubic-foot “heat sink” and heats much of the building without any backup equipment. 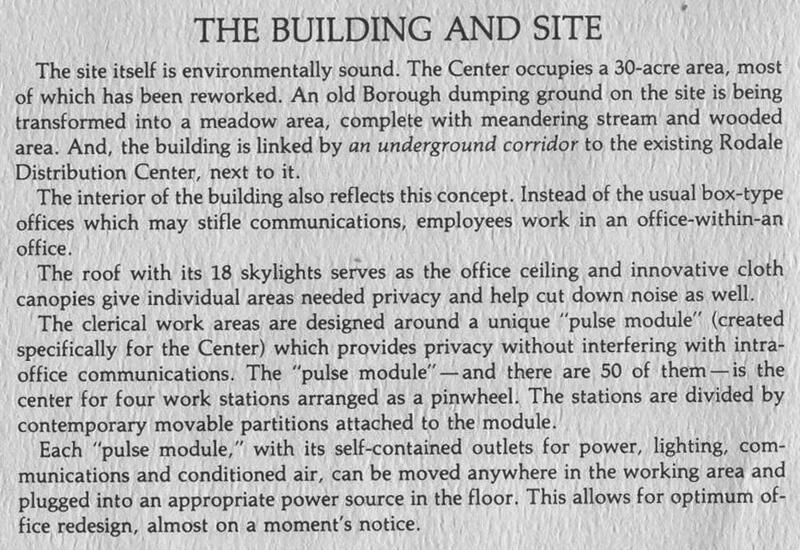 Other features include solar collectors, natural ventilation developed by a landscaped “cold sink”, insulated window shutters, and water-conserving indigenous landscaping. 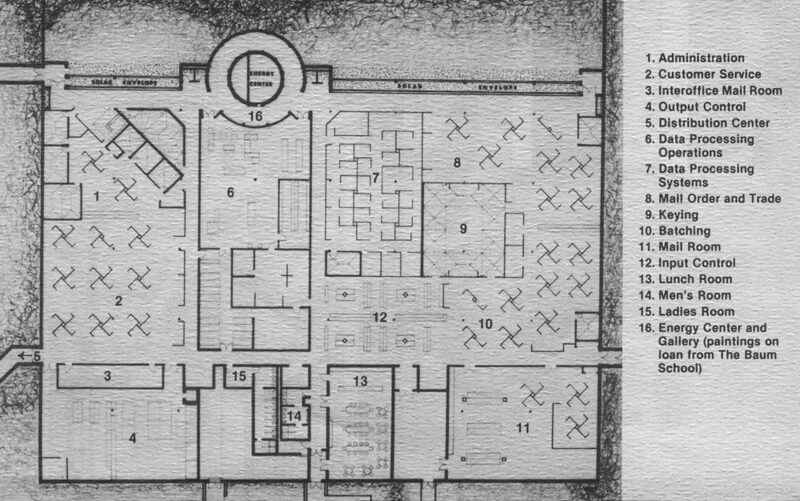 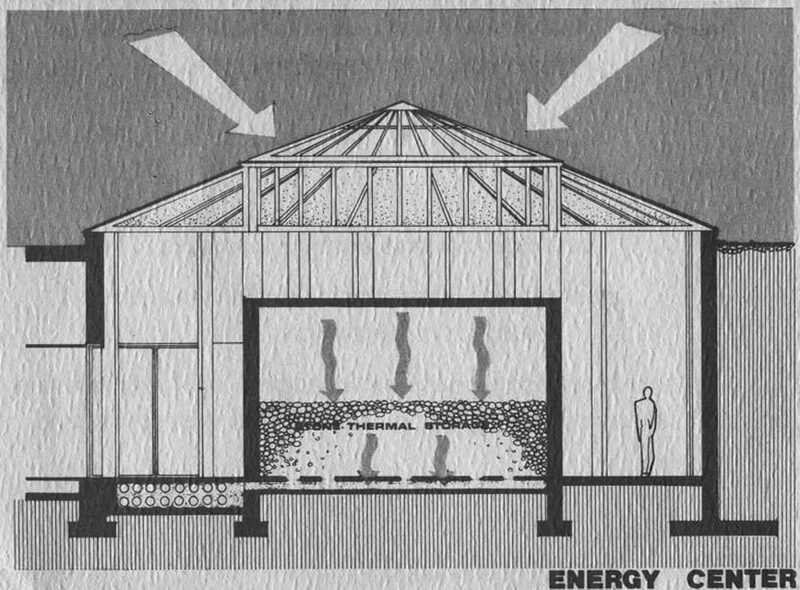 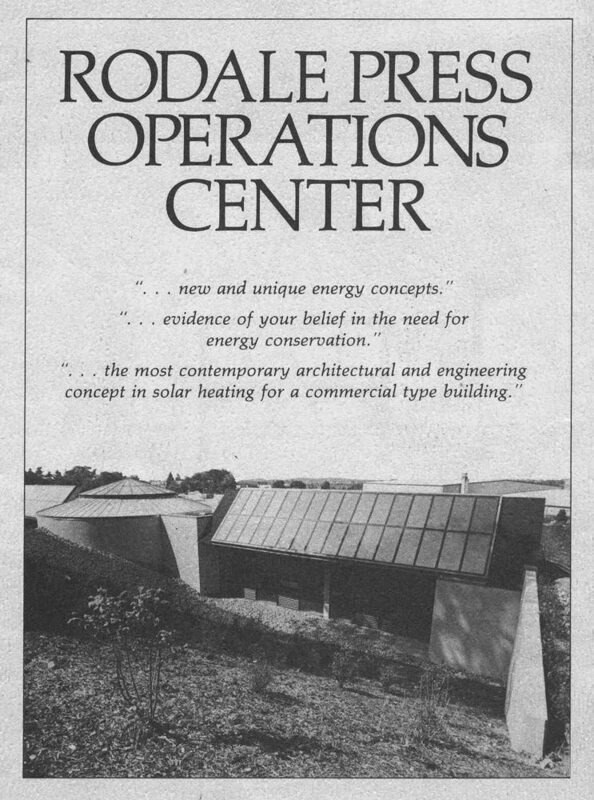 This design was the recipient of the PP&L Building Award for Energy Consumption in 1979 and the Interiors Magazine Energy Efficient Design Award in 1980.